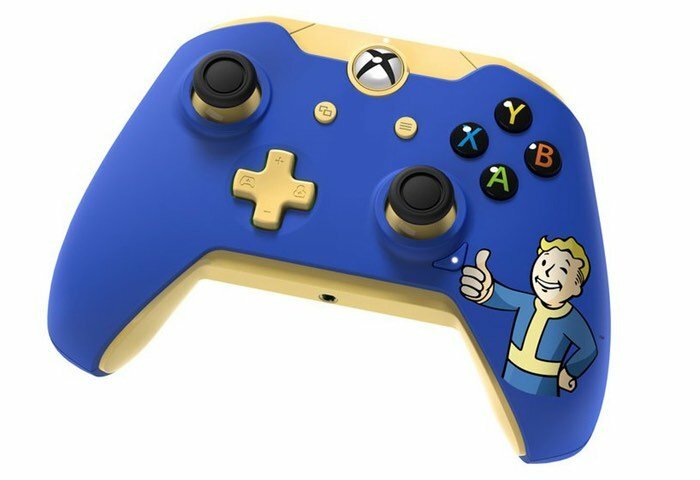 Bethesda has this week unveiled a new limited edition Fallout 4 Xbox One controller they have created in a limited run of 5,000 that will be up for grabs later today. But before you rush in you might want to know that the controller is actually wired and there is also a few slight differences that need to be noted when compared to other official Xbox One controllers. Bethesda seems to have changed the D pad design and also added an extra button down below the right hand side thumb stick, without any explanation as yet to what its functions might be. All of this week Bethesda is having a 20 percent off sale throughout their store and will be setting a new limited edition item each day this week until Friday. So to bag a bargain and also get your hands on some limited edition Fallout 4 goodies jump over to the official Bethesda online store via the link below.